Taking this supplement significantly speeds the muscle recovery process and prevents protein catabolism. Increasing L-glutamine levels, which are normally low post-exercise, to an optimal level can then allow protein synthesis to take place and improve muscle stamina. 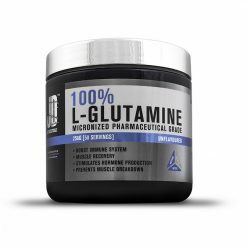 There’s no better way to end an intense workout then with JD Nutraceuticals L-glutamine supplement. L-glutamine is an amino acid used post-training to prevent the loss of muscle strength after a workout. Taking this supplement speeds the muscle recovery process and prevents protein catabolism. 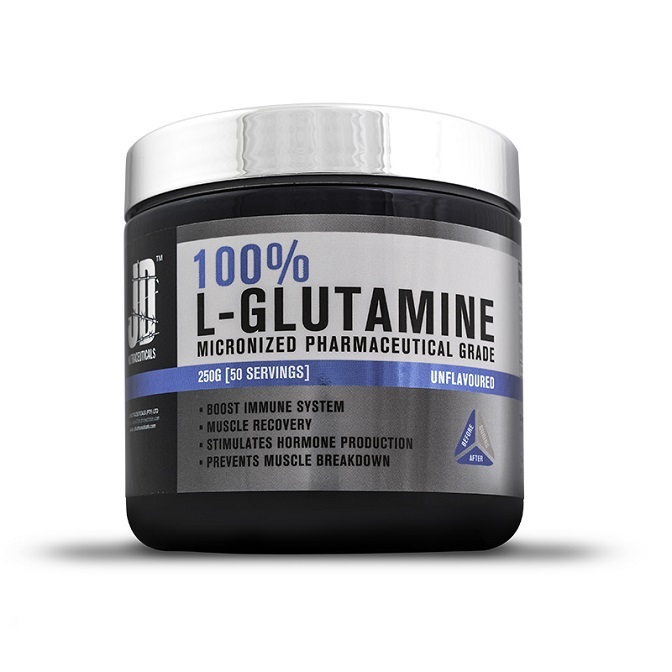 Increasing L-glutamine levels, which are normally low post-exercise, to an optimal level can then allow protein synthesis to take place and improve muscle stamina. During exercise when the muscle is in use, the body is unable to keep up with glutamine production therefore supplying the muscles with glutamine is essential to protect the muscle tissue from degradation. L-Glutamine helps sustain a positive nitrogen balance which enhances health and exercise maintenance. It also has other vital functions in the body such protecting and supporting the digestive and immune system. It is also one of the crucial energy sources for the brain. Manufacturer recommends to mix one or two servings of Glutamine powder with 250mL of water or any desired beverage. Can use more than once daily. Particularly beneficial straight after training sessions.